Lead generation is a method of identifying, attracting, and converting people unfamiliar with your business’s products or services to potential customers. It is accomplished by providing valuable information that gives these prospects as an incentive to provide you with their personal contact information. What are the different types of lead generation? The Bottom Line: Online Lead Generation Captures the Best Leads for your Business! There are so many business leaders who believe because they don’t provide their information to get an eBook that no one else would give their contact information as well. The following online B2C lead generation example demonstrates that properly developed content will indeed convert visitors into leads. I have clients who believed this and whose minds have been changed as they see leads converting on their website once they give it a try. This graphic shows the views and conversion rates for several offers. The reason why the views to submission (conversion) rates are so high is because these offers reside on website pages that are similar in topic so when viewers visit this page, they see a valuable offer that relates to their interest. So yes, 30 to 40% conversion rates are possible, however, it depends on the content and context it is share within. There are two primary categories of lead generation, offline and online. 1) Offline lead generation involves all of the actions that are in the physical world, newspaper advertisement, a trade show or other event where you meet people physically, or you present a tangible asset to them through the mail or another method. 2) Online lead generation involves all of the things you do digitally through the internet to reach the visitor on their computer, phone or tablet devices. Research has shown that prospects perform nearly 60% or their investigation into a product or service online before buying (see the research below). Even during day to day events, they will google a company or product to learn about it. While in a brick and mortar store, customers will often search on the product in front of them in Amazon.com to determine if they are getting a fair price. For this reason, online lead generation has become essential for all businesses, even brick and mortar stores. This article will focus on online lead generation, its influence on buyer behavior, and the methods and tools that enable your business to attract and convert the very best leads. Why is online lead generation important for B2C companies? You want to get your product and service in front of as many potential customers as possible—and fast. Moreover, the truth is, online lead generation can’t be completed as quickly and as simply as placing an ad for your business in your local newspaper; a successful strategy takes a thoughtful investment of both time and resources. However, there’s a difference between marketing activities that generate action and marketing activities that create results. If you want to deliver the best possible ROI for your marketing investment (and of course you do! ), online lead generation is the way to go. It allows a prospective customer to connect with you on their terms. Gone are the days when you could merely blast messages about your business far and wide to anyone and everyone; the Internet and social media have made customers far more discerning about whom they’ll give their attention to—and that means you have to earn it. There’s a truly astounding amount of information available to your customers. Giving them something of value, for free, cuts through that noise. Moreover, when those same customers want more, they’ll know whom to turn to. It’s the business that helped them the first time around. Online lead generation using the inbound marketing methodology, now that’s a different story. Once you have completed the upfront work of creating the content that attracts your prospects and entices them to give you their contact information, called a lead magnet, they are available to live online forever, accessible to your potential customers 24/7. So even better: They’re available to customers in channels you control, such as your website and found through online search and social media. While you may find a need to update your lead magnets periodically, they generally can be considered “evergreen content”—so called, because the information contained within them is accurate and current month after month and even year after year. See how the graphic below uses analytics to demonstrate the long-term value of evergreen content. It brings the most qualified leads straight to your door (or inbox!). Ask yourself this: How much time do you spend with the average potential new customer? Be honest. How much time do you spend educating them about your company and products, comparing their options and costs, and answering their questions? So then, answer this: How often does all of that work result in a sale? I’d venture a guess that it’s not as often as you would like. It takes a lot of time and effort to convert customers who at best are only passingly familiar with your business; it’s even harder to convince those who, at worst, have never heard of you at all. That’s where online lead generation using inbound marketing comes in. With an inbound marketing strategy, your valuable content allows customers to essentially perform all of this legwork on their own—on their own time, at their own pace, and in the formats they most prefer. By the time a visitor gives you their personal contact information in exchange for one of your lead magnets, you can be confident that you have earned that customer’s trust—and they’re primed to purchase your product or service. That means less time educating and more time selling for you. Online lead generation using inbound marketing is one of the best ways to maximize your marketing budget. An initial, upfront investment of time and money creates assets that can be leveraged over and over, through various marketing and sales channels. At the same time, it frees up both your own and your employees’ time to focus on the tasks most likely to directly lead to sales. With the extended shelf-life of online content (aka, forever), the ROI on inbound lead generation only compounds over time. Every time a prospect searches online for solutions to problems your business solves, you have an opportunity to capture their attention and acquire a valuable lead. It’s an exciting prospect, but it’s critically important that you lay the groundwork you’ll need to be successful. WHAT will attract the right prospects for your business?right traffic consists of those individuals who fit your company’s buyer persona. To define this target group, you should carefully profile the demographic and behavioral characteristics of your current customers. Prospects who share common traits with this buyer persona are more likely to convert to qualified leads. Relevant, valuable content is the driving force in drawing in the best, most qualified prospects to your website. For the best results, make sure your content is relevant to your ideal customer, as identified in your buyer persona. 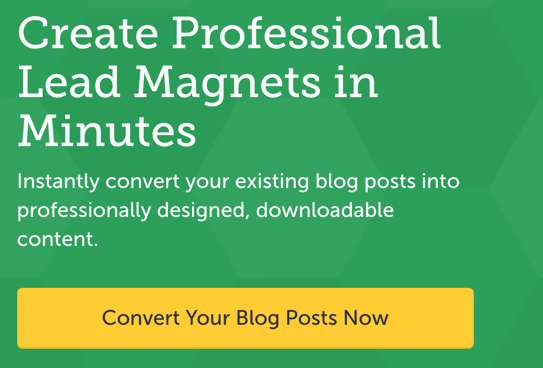 Blogs, social media, and SEO all serve as magnetic fields that pull potential buyers toward your website’s content. Inbound links from other credible sources also drive prospects to your website. Which keywords do my potential customers use when searching for solutions to the problems addressed by my business? 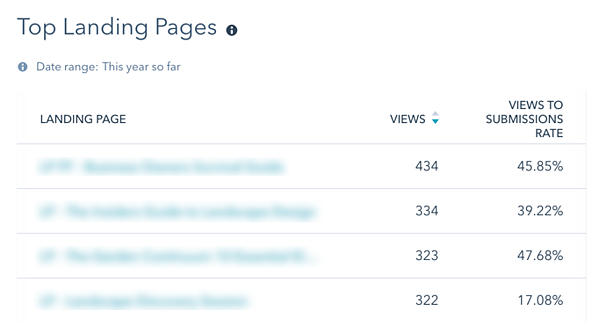 Is my content optimized for those keyword searches? (This process is known as search engine optimization or SEO). Which social media platforms do my prospective customers frequent? For example, is your customer likely to ask for recommendations from members of a local Facebook group? What businesses offering similar products or services do my ideal customers follow? Please do some research to explore your competitors’ lead generation methods and strategies, and the types of content they are offering their customers. WHEN does an anonymous website visitor become a lead? Provide numerous opportunities for your website’s visitors to convert to leads, as well as easily accessible options for direct communication via email, online chat, social media, and telephone. If you’re new to lead generation efforts like these, you may worry it feels too overbearing or aggressive to have these multiple opportunities to collect an unknown prospect’s contact information. To that, I say, quite simply: Don’t be. By the time an unknown visitor converts into a qualified lead, you have earned their trust and established your expertise and value—and this means you’re well-positioned to ask for this information. 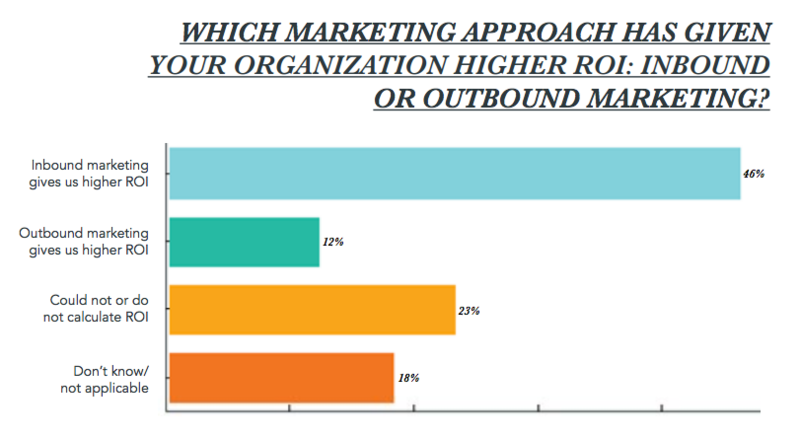 WHY is inbound marketing the most effective approach to lead generation? The inbound marketing methodology is centered on the inherent nature of organic search, which connects buyers to websites that offer content that is highly relevant to their online inquiries. Inbound strategies create the magnetic force necessary to point these motivated buyers in your direction. Your website content draws them in, and your lead nurturing engine keeps them engaged by providing a steady flow of content until they are ready to buy. The analytics produced by inbound marketing automation tools provide actionable data for fine-tuning your lead generation campaign in real time, resulting in higher numbers of sales-qualified leads. The types of content that best achieve this goal vary from business to business and industry to industry but can include options as diverse as ebooks to video product demonstrations to case studies to exclusive discount offers. These often are called lead magnets. 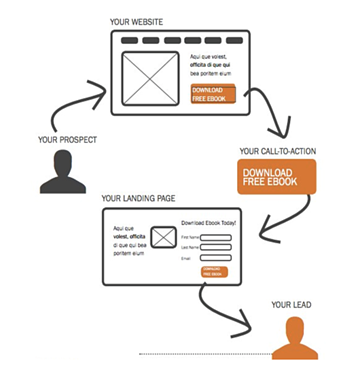 With its focus on conversions (from visitors to leads), lead generation is the second stage of an inbound marketing strategy (Check out the graphic below for a look at all four phases of the customer’s journey in the inbound marketing methodology). The key to great leads starts with great content. 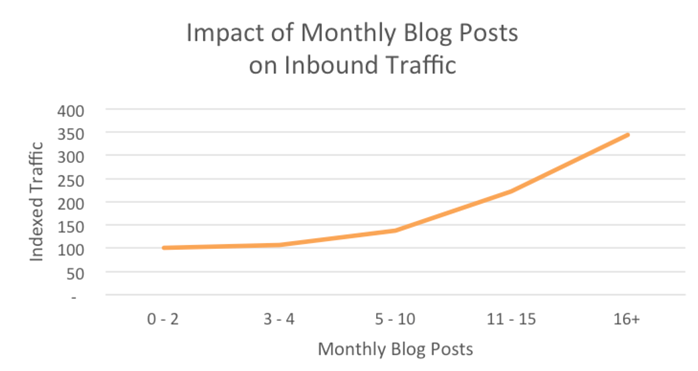 In fact, according to HubSpot, B2C companies that blog five to ten times per month get 100% more leads than companies that blog only two times per month. 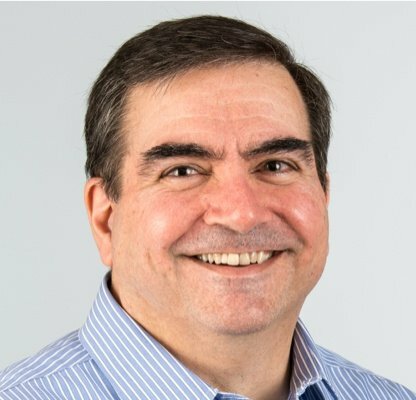 Today’s B2C buyers have figured out how to dodge and deflect interruptive marketing techniques that were successful in the not-too-distant past. In response, B2C companies are turning to innovative inbound lead generation tactics to draw the interest of buyers seeking answers to problems. Once you have earned a visitor’s trust by establishing your educational value, your website becomes a trusted source of information―making you well-positioned to ask for their contact information in exchange for desirable new content. The anonymous visitor grants you permission for future communication by sharing their contact information, enabling you to begin the lead nurturing process using email, social media or other methods. To capture your customers’ contact information, businesses can provide numerous avenues for visitor-to-lead conversions through your website. Use multiple calls-to-action, as well as easily accessible options for direct communication via email, online chat, social media, and telephone. You can see by these metrics that content forms the core of all of the online lead generation tactics. Inbound Marketing defines the best practice methodology to follow to ensure success. Traditionally, generating qualified leads has not been the most straightforward task. Even seasoned marketers can have trouble attracting qualified leads and converting them into sales. To compound this problem, the marketing game has evolved. The rise of big data and social media has changed the way marketers must approach the job. It’s up to you to find ways to make prospective customers want to engage with your business. 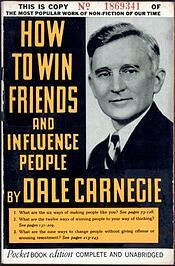 If you have read the classic business book by Dale Carnegie, How to Win Friends and Influence People, you know he analyzes the behavior of human interaction and teaches how to gain trust and build relationships. You can understand the methods that Dale explains people do what they want to do. His teachings educate you how to influence them to do what you need them to do. Getting visitors to engage with your business is part of the strategy of winning influence with them. Perhaps one of the most natural things your business can do to create qualified leads is to take the time to personalize your marketing content for each prospect. Traditional email campaigns are carried out in a "burst" fashion without a focus on the individual. With an email burst, generic advertisements are sent out in emails to many contacts at one time. This approach is referred to as "interruption marketing" because these emails are seen as annoying to the recipient. Instead of sending generic, impersonal emails to leads, customize them with personal information to target each recipient. This engaging approach can be accomplished by something as simple as adding the first name of the person who will receive these emails. While a seemingly small gesture, personalizing your communications in this way resonates with your customers. Direct email nurturing puts a human face on your campaigns and connects with your clients at a much deeper level than typically possible. The more information you have in your database about each contact, the more you can personalize the message. 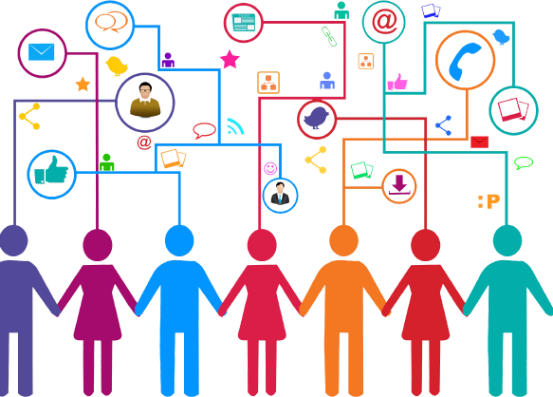 Segmenting your contact lists give you even more power to deliver targeted messages. 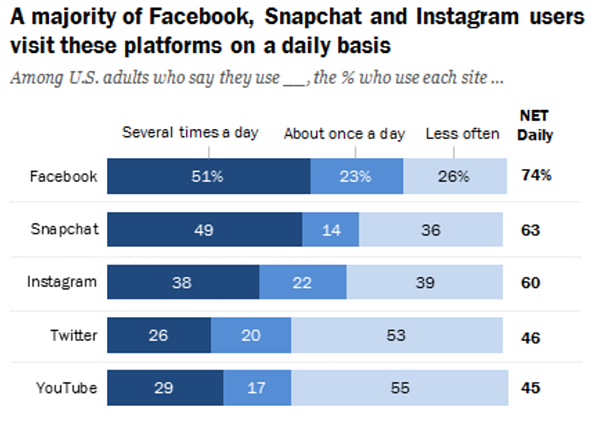 Social media is one of the most powerful marketing and lead generation tools available—just one look at the chart below showing how often users spend on some of the most popular social media platforms demonstrates their enormous potential for amplifying your lead generation efforts. Use a social media presence to share information about your business, products, or services. Link to blog articles or special offers and let your followers do the advertising for you by sharing this content with their friends. Create exciting and fresh content and watch the reach expand geometrically as your followers share it with their friends, drive traffic to your profile and business website. Social engagement also provides another opportunity to communicate with your clients on a personal level. Engage in a conversation about your business and take advantage of the level of direct access to your contacts that was never before possible. While a social media presence for your business is vital, it is not a replacement for a website. Your company's site serves as a hub for all your online activities, enabling lead conversions from your various social media activities, email marketing campaigns, and blog engagement. However, if your site is poorly organized and difficult to navigate, you may lose potential leads, rather than create them. Simplify your site design by eliminating redundant content and focus on the navigation of the prospect toward the offers you want them to select. Be sure your website is responsive and optimized for mobile devices, especially for content you would like them to read, like blog articles. One of the most overlooked ways to generate qualified leads is to ask satisfied customers for a referral. Similar to the way in which social media followers share posts and links with one another and advertise for you, merely asking a current customer for a referral can help generate leads that may not have been reached otherwise. See the chart below for the difference standardized referral programs can make in your conversion rates. Many B2C businesses, such as brick-and-mortar retail stores, will have the opportunity to interact with their customers in person, in addition to their social media and online presence. These interactions provide powerful lead generation opportunities, so don’t pass up the chance to take advantage of them! For example, an easy way to get started is to offer an email signup form at your checkout. If a customer is actively purchasing something from you, you know that they are interested in what you have to offer. Capturing their contact information is a great way to continue this relationship. Just remember that even if a customer sees an email signup sheet at your register, they may need a simple prompt from you to complete it. The way to do this is simple: ask. Create a custom hashtag for your business. Encourage customers to post photos of themselves in your store or using your products accompanied by the hashtag. This approach not only helps you identify some of the customers most enthusiastic about your products but is an excellent way for customers to create a community amongst themselves—and one that has your business at its heart. Add email signup forms to your social media platforms. Regularly create posts encouraging your fans to sign up. If you offer any unique benefits for members of your email list, be sure to note them. Host special in-person events. Invite customers already on your email list to events at your location or in your store. If a prospective new customer would like to attend, ask that they share their email to register and secure their spot. Offer discounts exclusive to members of your email list. These types of “insider” rewards not only encourage customers to make return visits to your business but also thank them and show your appreciation for their loyalty. Create a QR Code for your printed collateral or paint it on your delivery trucks. QR codes link to a landing page on your website. QR codes are images. When a person receives your collateral , they can scan the code with their cell phone and it opens one of your website pages. For example, this QR code links users to the Bristol Strategy home page. To create qualified leads, marketers need to know their audience and target those individuals specifically. 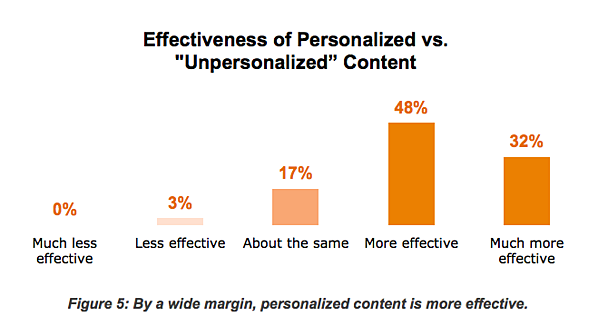 Personalization of content is an important start, but B2C companies also need to take the next step and analyze website visitor behavior. Doing this work leads to significant results—and the graph below shows just how big that difference can be. With the data provided by analytic tools, you can find even more opportunities to personalize your website and optimize lead conversion opportunities. 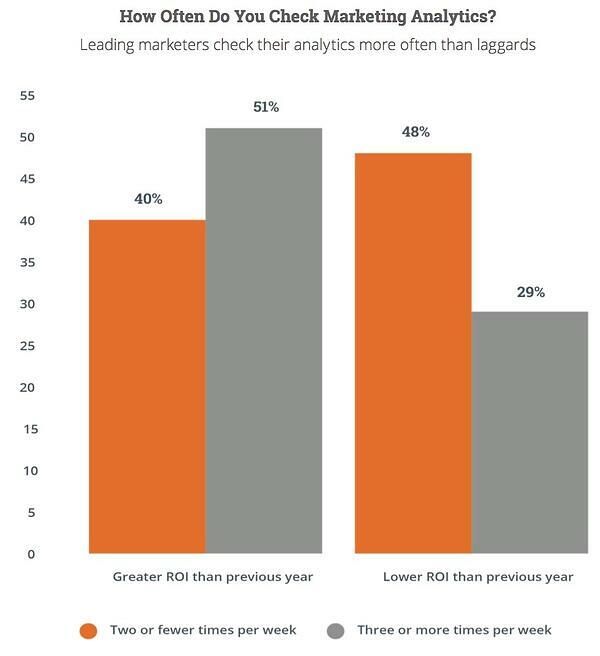 B2C companies must continually apply the lessons learned from analytics to stay a step ahead of the competition. Free options like Google Analytics and native analytics tools available within social media platforms are popular options for gathering this valuable data. Integrated tools like Hubspot, a marketing automation platform, provide even further insights into your analytics and are an excellent option for measuring the effectiveness of and optimizing your marketing efforts. Do your lead magnets offer enough value to be attractive to your customer? Are you targeting the right prospective customer? Do you need to make adjustments to your buyer persona? Are you connecting with customers in the places where they are most likely to be found? Is your website easy to navigate, with your lead generation forms easily accessible? Are customers continuing to stay engaged with your business and content once they have accessed their lead magnet? Use this information and insights you gain to plan future marketing campaigns and adjust ongoing ones. Moreover, don’t be afraid to experiment. Customers do not want to be annoyed by pesky marketers and pushy salespeople. They prefer businesses that earn their trust by providing valuable content and digital experience that engages them while providing useful insights. Implementing an inbound lead generation strategy allows you to cost-effectively connect with prospective customers in the ways they like best with the information they most need while delivering to you the customers who most want to buy from you. Now, that’s what I call a win-win! Gain additional insight by downloading the eBook - 30 Greatest Lead Generation Tips, Tricks & Ideas - and get onto the road to success.